Click the banner to take you to the official 9x swag page. Support the community! Show your pride! Don't know if it's been suggested yet or not, but how about some er9x decals for the TX to replace the branding decals? It would be great to replace the Turnigy, FlySky, iMax logos with an er9x logo. +1 I think decals for the other firmwares would be a good idea also, that way I can tell my radios apart without turning them on. calla969 wrote: Don't know if it's been suggested yet or not, but how about some er9x decals for the TX to replace the branding decals? It would be great to replace the Turnigy, FlySky, iMax logos with an er9x logo. Leo: do you have a way to make this with cheaper price? Last edited by kaos on Sat Jan 26, 2013 5:23 pm, edited 1 time in total. And those are WAYYYYYY over priced. I do embroidery, and that's a rip. New logo design on shirts available. 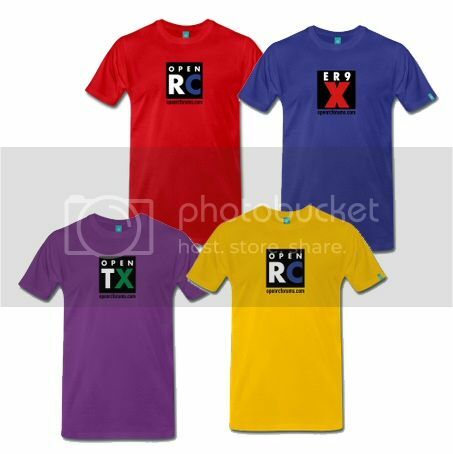 up to 5xl, different colours and designs. FREE STANDARD SHIPPING!!! NO MINIMUM ORDER! 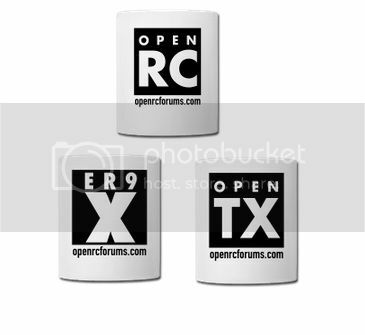 on the T-shirt, the front would be the same as 9X symbol on the mug but with smaller symbol for BT, SD, DSMX, a radio pattern for telemetry like )))) below the boxed 9x. The idea is fly with ersky9x with T-shirt on and being chased by run away heli then it crashes, so you sit down and cry with crashed heli and sipping beer with the mug. I have been haunted by kids at the door already. You have 1 hr 10 min to make them, so I can meet the free shipping dead line. feel free to add your artistic mod to those pic I showed. those were just sketches to show you the idea. Like that X, a Roman number ten with a little tail at each corner probably show better. I only have a stupid window paint to draw those. I remember someone before did an artistic mod to that picture.. Shaved the hair. jhsa wrote: I remember someone before did an artistic mod to that picture.. Shaved the hair. It surely was, I have my sheers ready to go at a moments notice. no shaved hair on this one. those standing hair express the urgency better. Get your cool stockings and show your pride! Money made from Stocking sales will be donated to Toys for Tots. Thanks for sharing the spirit of Christmas. What happened to my 'special' cup and T-shirt design?